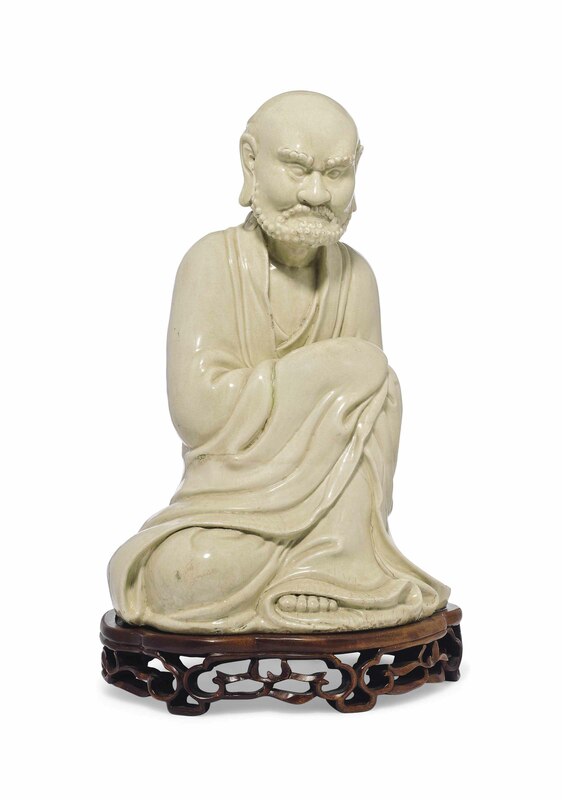 The seated figure is modelled with his hands resting on his raised left knee, his voluminous monastic robes fall in graceful folds around his body and his face is modelled with curly beard, moustache and eyebrows. The figure is covered overall in a crackled creamy glaze of ivory tone. Acquired in France in 1965. A similar but smaller figure is illustrated in Jessica Harrison-Hall, Ming Ceramics in the British Museum, 2001, p. 514, ill. 17:14.